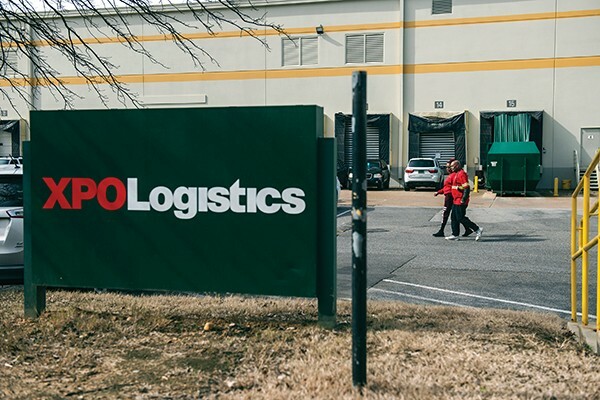 When XPO Logistics announced in February that one of its Memphis warehouses would be closing this spring, 400 employees faced the possibility of a jobless future. Some of the employees thought the move was in retaliation to several allegations of harassment, abuses, and discrimination made by employees there. This is the same XPO warehouse that gained national attention when an October New York Times story cited reports of discrimination and poor work conditions for pregnant workers at the warehouse, conditions that led to miscarriages in some cases. Employees were allegedly denied minor accommodations while working, such as sitting more frequently or being allowed to carry a water bottle. 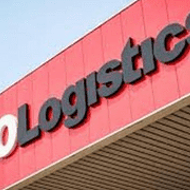 XPO officials have denied that the decision to close the facility was related to the allegations. Instead, the company has said the warehouse would close because of an "overall business model change initiated and completed by our customer." The customer, Verizon Wireless, contracted the warehouse, where products are packaged and shipped to its stores. Verizon officials did not respond to the Flyer's request for comment. However, at the time the closure was announced, Verizon offered this statement: "We're transitioning the distribution of Verizon Wireless products out of this Memphis distribution center to other facilities operated by new and existing partners. We're constantly evaluating the needs of our business and make adjustments accordingly. There is nothing unique about this transition." The statement concluded: "In this case, the center's operator made the decision to close the facility. This was their decision. We're retaining our partnership with the company in other areas." 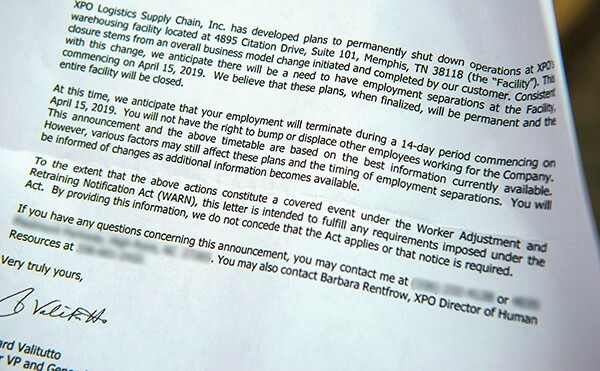 Since XPO sent letters to its warehouse employees informing them of the closure, the company says it has promised jobs for all hourly employees at one of XPO's 12 other facilities in Memphis, including a new one set to open this summer. Conditions for expecting mothers could improve after a new company pregnancy policy went into effect in January. XPO officials have called the policy "among the most progressive in the industry." But will the new policy and possible legislation being considered by the Tennessee General Assembly change the reality for the employees at XPO's facilities here? XPO is a global company based in Greenwich, Connecticut. It reported earning a little over $17 billion in revenue during 2018. 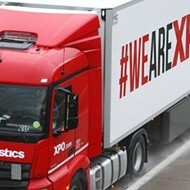 There are over 100,000 employees working at about 1,500 XPO facilities around the world. Despite the recent negative attention, Meghan Henson, XPO's chief human resource officer, says of the company's five core values, safety — including mental and physical — is the most important. "Safety is obviously one that we lead with," Henson says. "We want the communities in which we're delivering products safe and we want our employees in the warehouses safe. Safety is certainly an important value that I think we need to start with." Henson says the company also wants to see respect and inclusivity "in every single one of these facilities. We want an environment where people have their dignity and are able to raise up concerns in a way that opens up a further dialogue." But at XPO's Verizon warehouse here that sits south of the airport near the Mississippi state line, some say those values haven't been the case. 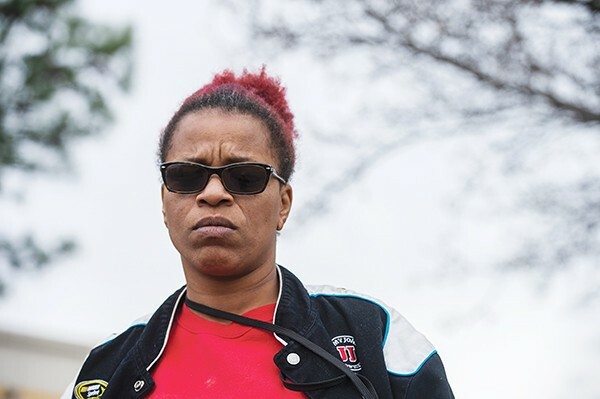 In the weeks following XPO's announcement that the warehouse would close, despite the promise of new jobs for hourly employees, Lakeisha Nelson, an employee at the warehouse, says job security is a concern for her coworkers. Nelson is the only employee who would speak to the Flyer about her experiences working for XPO. Nelson says as the transition happens, other employees, including those who've had miscarriages or have been abused on the job, are reluctant to speak about their experience. "They're not going to take that chance. "Those people are so afraid to open their mouths," Nelson says. "They will not talk. They think they're going to lose their jobs. Especially in this stage right now, they have a real fear of retaliation." Nelson isn't afraid though. She says XPO has been lying to her and her coworkers for years. XPO Senior Vice President for Communications Erin Kurtz responds: "The fact that we guaranteed new jobs for all the hourly employees in the warehouse is proof of our strict no-retaliation policy." "How can you continue to believe what they're saying?" Nelson says. "It's like they're brainwashed." Nelson says she knows her coworkers need their jobs to maintain financial stability, but at some point "enough is enough." "For some of them, all they know is that warehouse," Nelson says. "They don't want to lose it, and I understand that. But that doesn't mean you have to be dehumanized for a paycheck." Nelson has worked at XPO's Verizon warehouse for about five years. She's paid hourly, sometimes working up to 12-hour shifts with one 30-minute break. She works in the inventory department, where she makes a little more than $13 an hour. Kurtz responds that "a standard shift is eight hours with two 15-minute breaks in addition to a 30-minute lunch break. Employees are provided additional breaks when they work extended hours." Nelson says when she first started working at the warehouse in 2014, the conditions were "horrible." It was hot with no fans and poor air circulation, she says. "We were working on top of each other. Things were not proper. It was hard, being pregnant or not, but we pushed through." At the time, New Breed Logistics owned the warehouse, and in 2014 when XPO bought it and took over, Nelson says the company assured workers things would get better. "We gave them a chance to make it better, but they didn't." Kurtz responds: "We’ve made significant investments in our employees since XPO took over ownership of this facility. 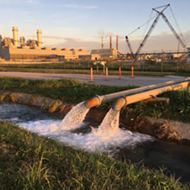 As an example, over the past two years, we’ve increased wages by an average of 32 percent across all roles at this site. We also now match employees 401k plans at 4 percent as opposed to the 1 percent match under previous ownership." As of August 2018, Nelson says the warehouse was still hot, with the temperature sometimes rising above 100 degrees inside. "It was still burning hot and the breaks were still inadequate." Nelson says after XPO took over, she and her coworkers were still pushed to work long hours despite the hot working conditions. Nelson says many times her supervisors demanded that she and her coworkers not talk while working because it slowed them down, and minimized their breaks. XPO's Kurtz says, "We have zero tolerance for discrimination or harassment. We also work hard to be sure all our employees know that XPO does not tolerate any form of discrimination or harassment — period. We treat any reports of this nature with utmost seriousness, thoroughly investigate claims, and take decisive action if our policies have been violated or if they need to be improved. Nelson says conditions have improved in many ways since that time, but not as much as she would like. One significant change, Nelson says, is the treatment of her pregnant coworkers. "A lot of heat came down on them because of that [NYT] article," Nelson says. "They're starting to respect that a person knows their own body. We're not dealing with things like 'Oh, you're going to the restroom too much.'" 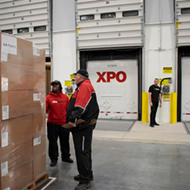 This improved treatment of pregnant employees could be a result of XPO's new pregnancy policy, which went into effect at all of XPO's facilities in January. Kurtz says the new policy was not a response to the backlash the company received following the NYT story. It was something that had been in the works for a while, she says. "The company is always looking to improve our benefits and policies." 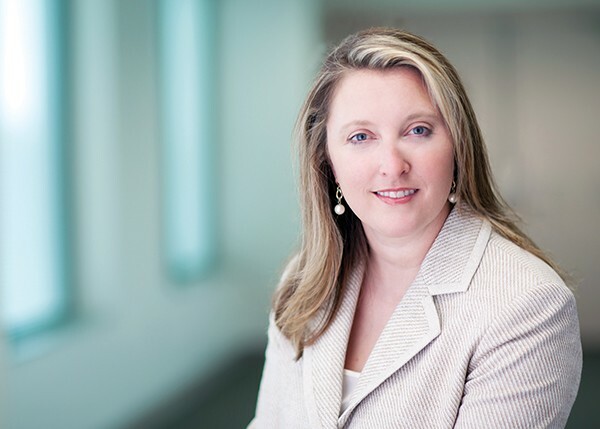 Josephine Berisha, the company's senior vice president of global compensation and benefits, crafted XPO's new pregnancy policy, which she says is a "stand out" from most companies' policies in the industry. Berisha says the norm when companies create pregnancy policies is to consider pregnancy as a short-term disability and therefore offer typical, standard accommodation. "We wanted to really extract and carve out pregnancy as its own thing with separate accommodations," Berisha says. Along with input from the American Benefits Council and other experts, Berisha says XPO created a policy aimed at "keeping healthy pregnancies healthy." To do this, Berisha says XPO thought largely about how to preserve what's important to expecting mothers: "We thought a lot about economic security." The plan offers paid time off before and after the pregnancy. Berisha says prior to the new policy this was something only done "if there was a problem" and the employees qualified for disability. "It's just to accommodate basic health and wellness needs throughout the course of the pregnancy including any time off to recover," Berisha says. "We thought that was a stand-out point that we wanted to throw in that doesn't typically exist." Allowing alternate work conditions without having wages reduced is "another substantial difference" between XPO's old and new policy. Before, lighter work meant lighter pay, Berisha says. For basic accommodations like sitting while working or more frequent bathroom breaks, Berisha says employees don't need any paperwork initially. "We would accommodate as automatically as possible." After two weeks a doctor's note is required. "The dictating factor is what does the doctor says you can and cannot do," Berisha says. "We cannot make that the decision. That has to come from a physician completely." Berisha says the policy was introduced with extensive training: "We've already trained all the supervisors in the field to understand the policy and enforce it." To track the enforcement and adherence to the policy, Berisha says the company created a monitoring mechanism that will record all requests, documenting everything and profiling it as a case for each employee. "So we're going to have teeth around this. "We're basically structuring their work to meet their life situation," Berisha says. "That's uncommon. Current practice is really not that way. Everything hasn't really been wrapped together as we're doing now. That's what makes us different, especially in this particular industry." Laura Bishop, a local ObGyn physician at the Ruch Clinic, says changes happen to a woman's body when she is pregnant. A number of those changes do require mild accommodations for some women. For most, she says there are cardiovascular and respiratory changes. "The heart might have to work harder to get nutrients to the uterus and the baby," Bishop says. "In the third trimester, there can be difficulty with fatigue and significant changes to respiratory or cardiovascular systems, sometimes leading to faster exertion." Bishop says there might also be difficulty with balance and standing for long periods of time for some women. "There've been studies done looking at standing for too long," Bishop says. "Although it is uncomfortable, there isn't any evidence that standing on the feet can lead to problems with the baby. But patients could have conditions where they need to limit that activity." There is some concern about heavy lifting by pregnant women, Bishop says. Based on the studies done, she says there is evidence that lifting over 220 pounds in a day can present a slight risk. Bishop says when it comes to how many hours a pregnant woman should work, the information is "conflicting and not really strong." However, there are studies that show there could be adverse effects when women aren't getting enough rest and are working over 40 hours a week. She says the main studies on the issue deal with how much time expecting mothers should work: "There's not great info or studies about long hours, but there is slight evidence that working night shifts might be associated with having a miscarriage." Pregnancy affects every woman differently, Bishop says. "Every case and patient is individual. ... I think it's a conversation all women should have with their doctors. Taking in to account what's going on with pregnancy, the hope is that the employer would work with the doctor's plan." There is currently no Tennessee legislation that mandates companies to provide any accommodation to pregnant women beyond what the federal law requires. The federal Pregnancy Discrimination Act is the only piece of legislation that addresses the issue. The law, which was enacted in 1978, amends the 1964 Civil Rights Act to include discrimination against pregnant employees. However, the law requires employers to accommodate those employees only if they are already doing so for other employees in similar conditions. 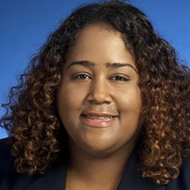 State Senator Raumesh Akbari, a Democrat from Memphis, says "we need to see what we can do on a state level to prevent unnecessary traumatic things from happening to people at work, and we definitely need to look into protecting pregnant women in the workplace. "I think sometimes when you're dealing with private companies, we get a little squeamish about saying what they can and cannot do, but there are some basic things all companies should be doing whether it's public, private, or industrial," Akbari says. One state bill on the table this legislative session that would change that is SB758 or the Pregnancy Fairness Act. The bill, sponsored by Democratic Senator Jeff Yarbro of Nashville, would require employers to make "reasonable accommodations" for medical needs related to pregnancy, while prohibiting employers from "taking adverse action" against employees who request accommodations. "Tennessee is one of the few states where a pregnant woman can ask for a reasonable accommodation at work to protect her baby and be denied," Yarbro says. "Sometimes those denials lead to miscarriages." Another state bill introduced during this legislative session that could protect pregnant women in the workplace is is HB0978. Barbara Cooper, the Memphis Democrat who is sponsoring the bill, says "it has been a long time coming." 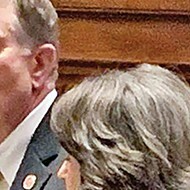 The bill's language is similar to Yarbro’s legislation, but also goes a step further to include pregnant job applicants. 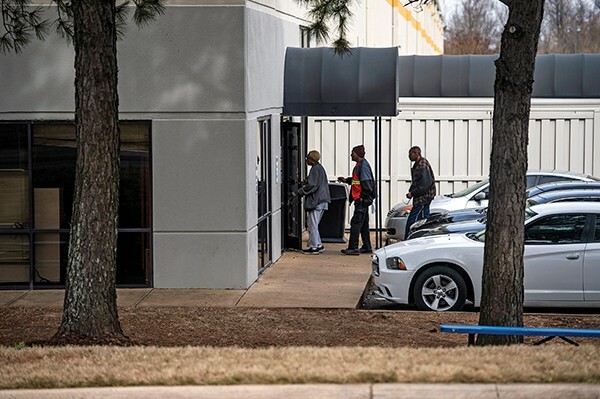 On the federal level, Ninth District Representative Steve Cohen has been advocating for the employees at Memphis' XPO Verizon warehouse since allegations first came to light. "These are my constituents, and I think those who are pregnant are a particularly vulnerable class in our society," Cohen says. "I think we should all have regard for pregnant women and treat them right so they can have a safe pregnancy. All workers should have a safe and healthy workplace, pregnant or not." Still, there is no federal bill on the table this year that would put additional protections in place for pregnant women in the workplace. Last year, Cohen was one of 131 co-sponsors of a bill that would have done that. The Pregnant Workers Fairness Act, which was not enacted, would have required reasonable accommodations at work for pregnant workers and protected them from retaliation for requesting accommodation. It also included a provision regarding leave. As for XPO, Cohen says "there was certainly a reasonable belief that they were not treating employees well, but it sounds like they've made progress. I'd like to see them treat their employees in a manner that's the gold standard for logistics companies," Cohen says. "And I think from what we've heard they're on their way to the higher echelon. But my ears will be open to the other side." 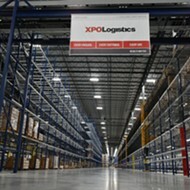 XPO has a large investment in Memphis with many employees at a number of facilities, Cohen says, and "we'd like to see them be a good corporate citizen as we continue to monitor them. The warehouse business is huge in Memphis and is ancillary to the work of the industry," Cohen says. "It's going to be a long-term employer and economic engine. But we need to make sure conditions are good and jobs are safe."